Do you have a low metabolism, a low thyroid, or just have trouble losing weight? Do you ever wonder how some folks are just “naturally thin”? I’ll tell you how. They have a high metabolism. They were born with a genetic predisposition to burn more calories, whether resting or exercising. Wait a second. Isn’t that like a genetic advantage? If you consider being thin and naturally melting higher amounts of fat an advantage, then YES! Some people just burn more calories with their increased metabolic rate. But that doesn’t seem fair. By applying very simple principles, you can actually manipulate your body to burn more calories and melt away fat – anytime, anyplace. I’ve actually collected EACH of these principles and put them into a simple and convenient package that you can implement immediately. That’s right: I’ve created a metabolism-boosting manual. And whether you have hypothyroidism, a low metabolism, or just have trouble losing weight and want a toned, lean muscle body, this book is for you. In this comprehensive book, appropriately titled “100 Ways to Boost Your Metabolism”, I’ll tell you exactly how you can become naturally thin by making simple lifestyle, food and activity choices, using fast tricks for burning more calories. This book is jam-packed with step-by-step instructions for making your metabolism burn like a wildfire! And that’s not all…I’ve also enhanced “100 Ways to Boost Your Metabolism” with a short, simple and sweet workout video collection! 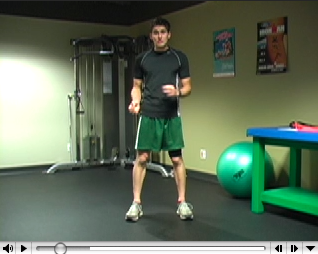 Each video demonstrates exactly how to perform each of the exercises found within the special workouts section of 100 Ways to Boost Your Metabolism. With the powerful combination of your 100 secrets and these 5 basic and simple exercise combinations, you will begin burning calories like a wildfire! It’s that simple. I’ve provided you with the key to unlocking a massive metabolism-boosting effect. By simply reading this book, you can actually become one of those people who burns more calories while you’re sitting at the park, traveling in an airplane, driving in your car, or exercising at the gym. You will have a high metabolism! Your entire quality of life is about to peak at levels you never thought imaginable. Simply use the 100% secure order form below for instant access to start fat burning NOW. Click the order link below or click here now to start METABOLISM BOOSTING before this special disappears forever! Click Here To Grab “100 Ways To Boost Your Metabolism” NOW. Within 5 minutes, you’ll be discovering exactly how to increase your metabolic rate. It’s a very powerful feeling to know that you’ve got what it takes to unlock your fat-burning genetics and say goodbye to your waistline! P.S. 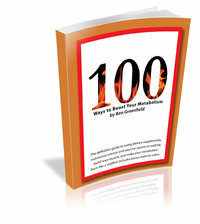 I’ve also scattered several “Metabotips” throughout “100 Ways to Boost Your Metabolism”. These tips, tricks, and secrets are spread throughout the pages of the book and are amazing weight loss tools!